India’s telecom users are facing a lot of call drops issue at the moment. To fight this concern, fiber-based wireline connectivity can be a good option as per telecom regulators of India. Fiber connectivity can act best for given limitations of the wireless medium in India. RS Sharma, chairman of Telecom Regulatory Authority of India (Trai), said “It is difficult to ensure service quality in wireless medium that has its own limitations related to bandwidth quality and upload and download issues. India should come on the fixed-line broadband infrastructure. We ask for explanations, issue showcause notices and levy financial disincentives — a process that we have already been carrying out”. India has been recently ranked 67th for fixed broadband speed with 20.72 megabit per second in a recent Speedtest Global Index conducted by US-based Ookla, a broadband network testing firm. This speed is much below than worldwide average download speed of 42.71 mbps. 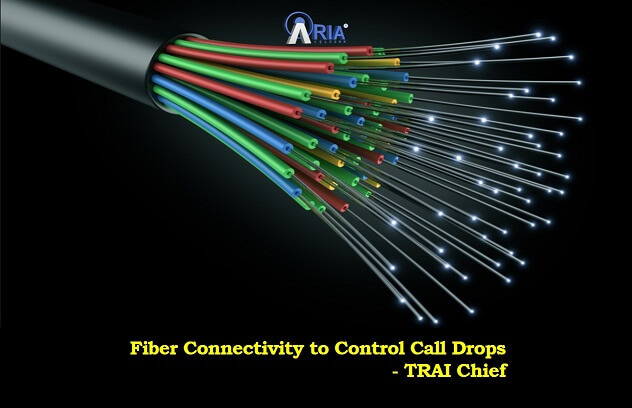 Currently, the sector is facing a high percentage of call drops and slow internet connectivity which can be only controlled by fiber connectivity. Industry statistics describes it clearly that the fixed line subscriber base shows a decline of 0.38% from 22.27 million in July 2018 to 22.19 million in August 2018, with 1.18 billion mobile connections currently transporting 97% of data wirelessly.